Hi guys, I hope you are having a great weekend so far? Its time for a little relaxation, don't you think? Come and take a trip to my zen garden, soothing music and time to peacefully reflect! 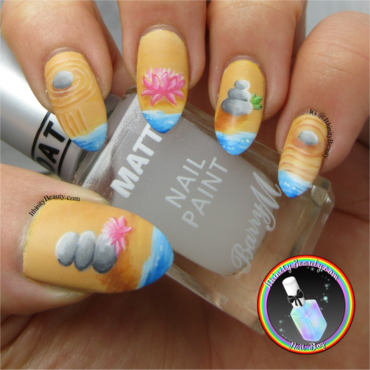 (Close ups https://goo.gl/1xaZiw )I create this design using ORLY's 'White Tips' nail polish – all the rest was created with acrylic paints. What do you think of this design?